The Blog Bully — Are you a victim? Have you heard of the Blog Bully? I am sure you have heard of the plagiarists and spammers, of whom there are many. But there being only ONE Blog Bully (BB), you might not have heard of it. But it is often discussed in hushed whispers among bloggers. And if you still have no clue as to the identity of the BB, chances are you have not been struck– yet. But don’t be complacent about it because this one strikes at will and at random — either through Indivine or through comments and, of late, even FB. If the BB likes any of them, the blogger had it! So, which type of blogs does the BB strikes at? There is no particular pattern. It could be the content, it could be the style, or it could be just the fact that the blogger had touched the BB in some way to make her want to connect with them. There are many popular bloggers who collect followers by the hundreds and hits by the thousands, but the BB is content collecting friends – one at a time. The moment such a blogger is found, the BB smells blood! ‘Friend material!’ screams her brain, and she goes straight for the jugular and the poor guy/gal has no clue as to what hit them! Now these bloggers might have been happily blogging for years without a care in the world. But suddenly their days of joy are over because they have been singled out by the BB. Are you wondering why that should make them quake in their boots? It is the modus operandi that makes it such a harrowing experience. What would a normal reader of a blog do? They would read the post, and depending upon whether or not they liked the post, leave a comment or ‘like’ it or share it and then maybe subscribe through the Reader and leave. But the BB is not a normal reader. She is a technology-challenged person who has survived blogging solely on the strength of her ‘blog manager’ son’s help. BB has two bugbears: Comments and Subscriptions. She wants these customized to suit her needs and the victims would all testify to it that they are forced to comply. Because you see, BB is not just a bully but a nag to boot! If a particular blog has Word Verification, especially a complicated one, it would keep rejecting her submissions. And if she manages to crack it, she would hastily edit the comment to add a request to please do away with the WV, for it made it difficult for her to comment. Bullies do have a great sense of importance, don’t they? Arti was the first victim of the BB on this count. And the poor girl hastily removed the word verification and told BB that she had and made place in BB’s heart. Over the months there were others who obliged the BB so that she could leave her comment. Corinne has this commenting software that is as gentle as her and apologetically asks you to tick the box testifying that you are not a robot. But if you miss it, it will stubbornly refuse to publish your comment! Then it was the turn of Srini, the Laughing Gas. He must have rued the day he came to her blog because of what followed. When she visited his blog, she loved it. And you know what that means? A comment, of course! But what did she find? No comment field and only FB comments. So off she shoots him a mail demanding that he add it. And the poor mild mannered guy who won’t say boo to an ant obliges the BB and replies post haste, after doing the needful. Wasn’t she glad she shot off that mail though, for she made a wonderful friend that day. As for Srini, he credits it all to karma! There is another thing that bugs the BB. Blogger offers the choice of commenting through your Google id, which requires BB to sign out of her own mail and sign in to Google before commenting. The BB prefers the name/url option because it is easy and fast. So now, bloggers who don’t have this option get a mail from her: ‘Unable to comment!’ with the comment attached by email! Rachna was the first one to be struck followed by others including Sandhya. While the former got it done in a jiffy being a whiz at the stuff, the latter had to get her son to do the needful, much like BB herself. This morning dear old Deepak (Magiceye) was the latest victim. He protested, ‘But I have not changed any setting!’ but not only fixed the problem but also copy pasted her comment! A friend can’t be sweeter than that, can he? Ashwini comments on BB’s blog sometimes but must have got the shock of her life to see a mail in her inbox a few days ago with the same request. She sweetly replied thanking BB for the comment sent by mail and for having put in the added fields for profiles. Is commenting the only thing the BB wants to do? No sir. She would read a couple of posts from the archives of the blogs and if she liked them, would want to instantly subscribe – not in the Google Reader like a normal reader might do, but through email, if you please! And if she didn’t find that option, she would add it in her comment requesting the blogger to please create that option. Rahul must have heartily wished he had not set his foot on BB’s blog because she couldn’t subscribe to his blog and sent him a series of mails. After finally getting the subscription going for her, he must have sighed in relief for having got the BB off his back! The same thing happened with Bhavana who made the mistake of straying into the blog on a guest post. BB went to her blog right away to find that she liked what she read there immensely, but could not subscribe. So off went an email early in the morning (BB is an early riser and strikes mostly in the mornings) to her. After a flurry of desperate mails back and forth, the poor girl finally subscribed herself for BB. Talk of willing victims! When Suresh got a comment asking how BB could subscribe to his blog, he obligingly came to her blog to tell her where to find the button — and to be on the safer side — changed the template itself. Wise chap! Panchali refuses to be bullied but told BB very sweetly, that she was happy if the BB read her posts whenever she had the time to browse! Now isn’t that a sweet friend? Of late, BB has discovered a new forum to hunt for her victims – FB. She reads a link and marches to the blog and then finds one of the things missing (refer to above paras) and so contacts the blogger. Maitreyee and Soham are the latest victims of the BB. Then there are the guest posts. Whenever BB asks a friend for one, the first reaction is one of panic. The objects chew their nails right down to their fingers and hem and haw. Ask Sudha. Only she was too polite to use the word bully and used nag instead, on the link on her blog to the guest post she eventually did. The last I heard, R’s Mom has gone into hiding and Arti is having panic attacks. Adding people to your network on Indiblogger is an innocuous enough thing. People add you, you add them or ignore the request and that is that. But for the BB it doesn’t end at that. She goes to the person’s blog and demands to know why she has been added. Some of them reply and Sajal was one such. Now that is what I call interaction! Not that everyone falls prey to the BB’s tactics. Some bloggers just ignore her and go on with their happy lives. Smart ones, those! Do you think that BB manages to get her way because of the formidable profile she sports on the blog, wielding a weapon capable of delivering a resounding whack, or maybe they are afraid of being nagged endlessly and so want her off their back OR, maybe…just maybe…they do it because they really like her? I think I should gently remind you of the consequences of disagreeing with the biggest Blog Bully. Well, that was just a very gentle reminder, no need to run away…. Note: The BB might have left out a lot of names who have been at the receiving end, so if anyone has a horror tale of bullying by the BB to relate, please feel free to share the experience. It will be duly linked to the post. ….and some more victims : Giribala is protesting about her exclusion on the subscription count and Anu is upset — to be bullied about the commenting and then being ignored is a little too much, isn’t it? And now for Ruchira, the only one to have been bullied personally over email subscriptions and the visibly upset Ashwathy, who with the long list of complaints against the BB had me scurrying to link her! And Amit joins the band of victims being the latest one…. What a clever post. And all those readers feeling left out because they weren’t BBed by the CN! I hope it is more than that. I hope it is appreciation for a good idea for a post. Uh oh, Khoty, the comment was not getting posted due to some glitch with WP and I left it thinking I will complete it and post it when WP acted better. But apparently it got posted! I was wondering at this new comment when I realised what happened. ha haa… that was such a sweet post. For quite sometime (first 2 paragraphs) I really thought that you are talking about some real bully and was hoping you would give some tips to watch out for the Bully. Little did I know that it was you! 😉 Who would not want to be bullied by you – that is, if at all, you call that “bullying”. 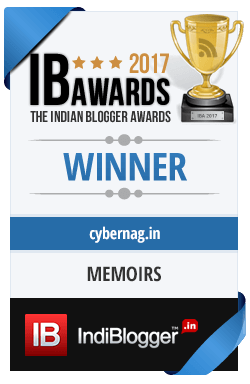 Having you read the blog or comment is a privilege and it gives me immense happiness whenever I see that you have read something I wrote. 🙂 You are really wonderful. And this lovely little post really made my day, along with all the wonderful comments. For a dim witted person like me, it took some time to understand who is the BB. A very interesting post indeed. Haha! 😀 Thank you for the inclusion! 🙂 And the conversation! I declare we should have a Sahasranamam in your honor, all detailing the various ways you have managed to get us lesser mortals to better our blog interface. 😀 If not for you, we’d have rudimentary templates and sophisticated tools would be forever out of our reach. We owe you huge thanks, Zephyr. You are persistent because you care. You always give your best in whatever you do – relationships, your blog, your book. I admit that I take my time in commenting but it’s not fear but love that keeps bringing me back to your blog. That was a lovely post exuding love,warmth & cheer.Now i am perplexed-you told me to do something on my blog & i did it,but there has been no reaction from you after that.Does it mean i did it perfectly or is it that i am hopeless?But you taking interest in any blog is certainly a good omen—–DESPITE THE BELAN!! Oh Indu, you are a very sweet friend. I told you that you needed to add something to it and I would write to you but couldn’t do it. I will certainly mail you ASAP. For me blogs are not just something to read and comment on, but an interaction with the person. And that is how I collect friends. Keep coming! And THAT’s another sort of bully you are. You never let the reader go stray some place else but hold her under your words till she is mesmerized. AND after all risks of getting stared at by my seniors, I’m here ‘commenting’. What more(? )… now I want to stalk your blog. Why, oh, why are you such a bully? Honestly, I had read three more articles but was not able to post comments on them… don’t know why. 13th Sept had me browsing through your blog all day, reading and Trying to comment too. Let me assure every reader about whatever she has said here about bullying other bloggers, it boils down to me because I need to ensure that those don’t happen on this blog. What’s the point of being a bully if her blog itself does not follow the sacred scroll of the Blog Bully. As far as being bullied is concerned, I am extremely sorry to take the crown away from all of you. But I win it hands down. And, I am mighty proud of the Big Bully! There are few of those left in the world. Loveable bullies that is! Your blog has come a long way in the last two and half years. You have given voice to the voiceless, brought guest bloggers on board who have gone on to become famous, written about society and culture in a logical and unbiased way. This blog and the content it holds, is good enough to be made into an encyclopedia. I won’t say though I was bullied for an e-mail from her was kind of an honor! You are among the latest victims, Amit 🙂 As for the poor blog manager, do read what he has to lament about being one to this BB 😀 Thanks for posting my comment. I have done it, ma’am, and look forward to your kind presence on my posts! He hee! Looks like you’ve been stalking Blog Bully :D.
I have one very sweet memory of BB. I’d once written about the things I had to do as a mother, which often make me feel like a killjoy. BB came by that post and left a very reassuring comment. I quite enjoyed the exploits of the Big Bully with a long arm that extends across the cyberspace. I disagree or maybe my blog is BB friendly. You were indeed, my dear Arti! And I remember the look of near terror on your face, when we met for the first time last year, remember? And what inspiration from R’s Mom?She has been successfully flushed out of her hiding place and has agreed to do the post 🙂 So don’t you dream of going into hiding, ok? Mami – BB – Zephyr – Cyber nag .. 🙂 I will always like you whatever Avatar you come in.. I am happy to note that I am there! My son was laughing when I told him about this post of yours! Now, I know why you have sooo many followers! I am laughing still, BB…is it double B or B squared? Everybody loves you, including me, Zephyr! Thick head that I am, I actually started thinking who could be the BB being described here at length .Then ROFL happened.I When I first saw your comment on one of my posts I showed it proudly to everyone that mattered .This BB is endearing and much talked about in blogcircles . I feel honoured to be treated with such love and respect, Sharmila. Makes me often wonder if I am worthy of it all 🙂 What rehearsals? You mean like dress rehearsals? I am excited to meet you all too! Should I say I too have been bullied by the BB? Nyah… she’s too sweet… who can consider her nagging as bullying? Brilliant post, as usual… brightened up my morning for sure! But I have already bullied you enough about reviving the blog, remember? Why, I even mentioned it in my intro on your guest post 🙂 So, when are you?? Couldn’t make out till the end who the BB was. 😀 What a build-up! Oh, and I thought I had given the secret away in the second para itself 🙂 Glad you liked it. Giggle Giggle…Hilarious! !But the BB is really adorable.Ain’t she? With her thoughtful comments and emails she is a friend one can always count on…Love you chithi.. I am not here…………..*Fuming* ……………. *Smoke erupts…err from everywhere*………………..why oh why….this emotional atyachar? AGREEE!!! Blog bully bullies me even now and I have more tales to tell. She bullied me this morning–first, I have to reply in large font and second, I have to read this post. Thankfully, this is a post I can vent my pain. So here it goes: this BB was not too happy when I had not read her posts for a while and so she called and told me to read it on the phone in the train while I was traveling–unwilling to accept “travel” as a valid excuse. Whats more, sometimes BB decides she does not want to comment on your blog but will instead send you a long letter. You are ruined if you do not respond soon enough! She is a bully alright and what she bullies is your heart and woe the day she stops bullying you–the pain of abandonment is worser than her bullying! Love you soooo much, my BB!!!! Oh yes, I was also asked to increase the font size of my email :). Blog Bully, oh yes, this one I love. And she made me shiver in my pants when I had to do the Guest Post for her blog. Much more scary than any professional writing that I have done :). I love such blog bullies. Recently Corinne reminded me in her sweet, gentle manner that sharing links were missing from my post and also if I could move the email subscription widget a bit higher. I love you guys with your belans, brooms and wit :). What would I do without some good-natured nagging from you, not to forget all the times that I shoot off mails and nag you. So, we are even. Loved the post, expected something serious and here I was rolling in laughter. And, you have opened a can of worms here. You will be inundated with requests or threats of linkbacks. Looks like this one post will be a linkback delight ;-). This will be the first time that you will continue to keep changing your post with every comment :). I have already noted a few changes from what I read in the morning. And, I have the memory of a hathi ;-)! hehe Bullying mein bhi pyaar chupa hai. That is why there is a cyber queue outside the doors of your blog. Look at the love and affection you have from all of us, pretty enviable :). Hugs! lol! Have just tweeted your post to forewarn innocent readers before they are struck by the Blog Bully! Hey, I love discovering new blogs and make friends that way. I might not comment on every post, but if I like a blog, I read the posts and of course insist on leaving a comment 🙂 Maan na maan, main tera mehmaan! Since I am not a social media person, I prefer mailing and commenting to keep in touch. I am glad that I gave no reason for the BB to nag me about. LOL. Goodness me….No one can beat you, Cyber! Loved the way you built it up. My brain didn’t blink first… Was trying to locate BB. Had to google her out u know…. LOL!!! ..
You googled BB out? Well that made my day 😀 Glad you enjoyed the post. thinking of changing your name??? and btw, where is mine???? Oh BM, you scared me with the first few lines. I was like, what?? you are …’YOU’…:) Loved till the end. Who wouldn’t want a reader like you to their blog? Even if it’s nagging or bullying? Trying to recollect if I was bullied. Not really. But, I had problems getting your notifications and you sweetly asked me if I could subscribe again and I did. I had couple of bullies too.. Deb, Saru and Bhavana couldn’t find the links on my blog and finally I think I fixed them..:) Anyway, be it nagging or bullying, you are the best and the most adorable!! Love you!! You mean to say there are other bullies besides the BB? Hmph…. No, not chaning my name. But what is the harm in adding another one? Haven’t you heard of Ashtotrams and Sahasranamams? I have a long way to go in that direction! Seriously, the way we met is truly an awesome cosmic coincidence, and I am thankful for that! Ha Ha. Nice one. Real interesting way to pay tribute to your favorite bloggers. ← Should I let Henry Ford define my choices?